Surfing books, do you buy them? Or is print, in all it’s forms, dead to you? I’m of the opinion that print isn’t dead, it’s just not executed that well anymore via traditional, or longstanding, magazines (in part due to their inability to adapt and our addiction to instant news on our devices). At the moment, for us, good print comes in the form of books, and new independent magazines like Drift or Franchise (more on that here). And to be honest we’re excited by whats to come in the world of print. For now though here are 8 surfing books you should slide into your bookcase or at the least borrow from a mate and read. If you buy one surfing book, you should buy this one. 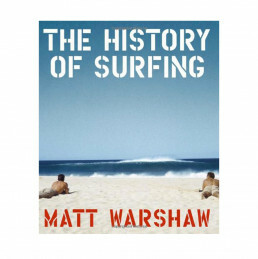 Matt Warshaw knows more about surfing than any other person on the planet. That’s not a stretch of a statement either, the guy can pull the oldest, random and most on-point facts about surfing at a drop of a hat. His book, The History of Surfing, offers the definitive take on surfing and it’s colorful history. The book has a bunch of mini-essays coupled with imagery related to the topic, whether it’s the invention of the thruster, shark attacks, or localism – I love his write-ups on surfers. If you’ve seen the flick, then you should back it up and get the book. It’s full of fantastic imagery from the era and a few things that might have got skipped over while you watched the flick. It’s also just a great reminder of where surfing has come from, what was happening in those early years of professional surfing and is a good look at some of our early surf icons. If I’m showing off my bookcase (which is a thing I do), this is one of the first books I’ll show people. Go the hardcover option as it’ll just add to how awesome you’ll feel when picking it up. Surf Craft is a surfing book for the surfboard fiends out there, the ones who might shape their own sticks or are all over second-hand board stores looking for random gold. You’ll find all sorts of board design in here and to be honest, you could probably pull some outlines from them if you were keen to play around. You’ll find coverage from the ancient Hawaiian alaia, through to the store-bought longboards popularized by the 1959 surf-exploitation movie Gidget and all the way to what we ride today. Overall a fascinating look at the history of surfboards. 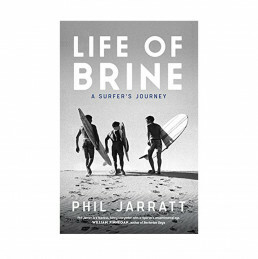 A Life of Brine is the memoir of one of the world’s best known chroniclers of the surfing culture for more than 40 years, Australian writer Phil Jarratt. He rides a wave of nostalgia seamlessly from the 1960s to recent times, from one side of the Pacific to the other, from Bali to Biarritz and many points in between as he explores surfing’s journey from slightly spooky sidebar cult to billion dollar industry. Written with great affection, these are the reflections of a lifelong surfer whose pursuit of waves has governed his life and has placed him in the middle of many of the most exciting episodes in surfing’s history. This has been out for a minute, but it’s not a look back in history type of book more of an insightful look into the GOAT of modern day surfing. Kelly opens up about a lot of things in here, and then there’s interviews with friends and fellow surfers as well. Imagery in it is next level, both from a quality, a quantity and an unseen level. I probably flick thru this once a year, easily. Odds on there’ll most likely be more Slater books in the future, but from all the books (or written pieces) that are out right now this is the one to own. It’ll sit in your bookcase for years and you’ll never get sick of it. 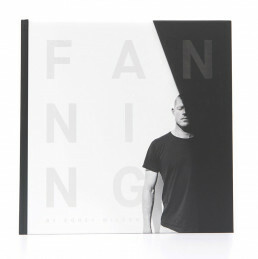 If you’re a Mick Fanning fan, get the book. If you’re a fan of exploring for surf, get the book. There’s a bunch of reasons to get this book (none of which will leave you surfing like Mick) from gaining some insight into the life of Mick through to imagery that will have you chasing the next swell. The addition to copy being applied in Mick’s handwriting gives it a personal feel that adds to it all. If you’re lucky you might pick up a Collectors Edition (doubtful), or just hit the button to get the regular version. This book should come with a warning – you’ll want to ditch your entire life to just travel the world and go surfing after reading it. Well, more so than you do already. 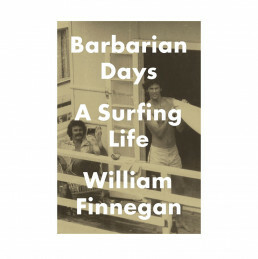 Winner of the Pulitzer Prize for autobiography, it’s an incredibly well-written memoir by New Yorker columnist and surfer William Finnegan. You’ll get lost in his descriptions of surfing Honolua Bay on acid in the 70s, traveling through the Pacific to discover unchartered Tavarua and getting malaria in tube-infested Nias. Incredible writing that’s sometimes a little nostalgic but totally on the money when it comes to the unique feeling surfers derive from their chosen lifestyle. Get on it. Love him or hate him, Chas is a brilliant writer who can pull you into his world and have you imagining the entire environment and situation, leaving you with a sense of being there with him – a skill not a lot of writers (well, the ones I read anyway) have. 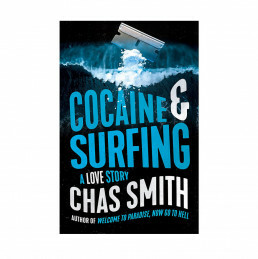 While the title of the book might get you excited, Cocaine and Surfing isn’t about Cocaine and Surfing together. 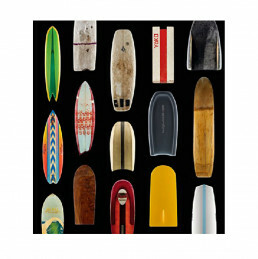 The book tells a story of the surf industry, surf culture and Chas’ position amongst it all. 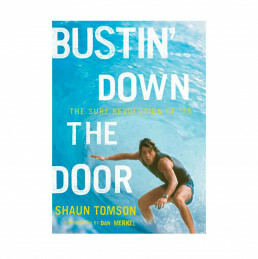 If you’ve been a fan of Beach Grit and the recent TMZ’ing of the surf media, then you should purchase this book – you’ll most likely love it.